We offer professional and cheap house removals in London and nationwide. Get a free quote and book online or call on 020 3000 7843. House Removals London provides service in London and nationwide for people looking for cost-effective solutions as well as for the most demanding customers looking for the highest quality, comfort and confidence. It is very important to us that the customer can be sure that his belongings are being transported and handled in a professional manner. Our company employ skilled workers, assisted by the ownership of our specialized equipment: trolleys, blankets, straps to attach to the van, etc..
Our has been established in 2004. Since that we build a strong reputation as a London based removals company with high standard of removal services and professional staff that is willing to help you at all time. Our fully trained team are specialists in removals. 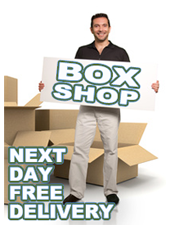 By using House Removals London, you can rest assured that your goods are in safe hands. Our prices Starting from £25 p/h and we accept all major payment methods such as PayPal, Credit Card, Debit Card, Cash. Few reason why you should choose "House Removals London"? ✔ More than 10 years of experience in moving / removals services. ✔ Qualified, strong and helpuf movers to handle your belongings with care. ✔ All our vans are equiped with necessary tools and specialized equipment. ✔ Complete service with loading and unloading, disassembling and assembling. ✔ Our comapny offer appropriate insurance for all goods in transit. ✔ No hidden charges. You will pay what you quoted for. ✔ Extra seat for you to travel in the van at no extra cost.